Many software has been created in the world, but many of that software has been commercial or we can called it copyright. Less of it is free to use and modified, and we can called it copy-left. 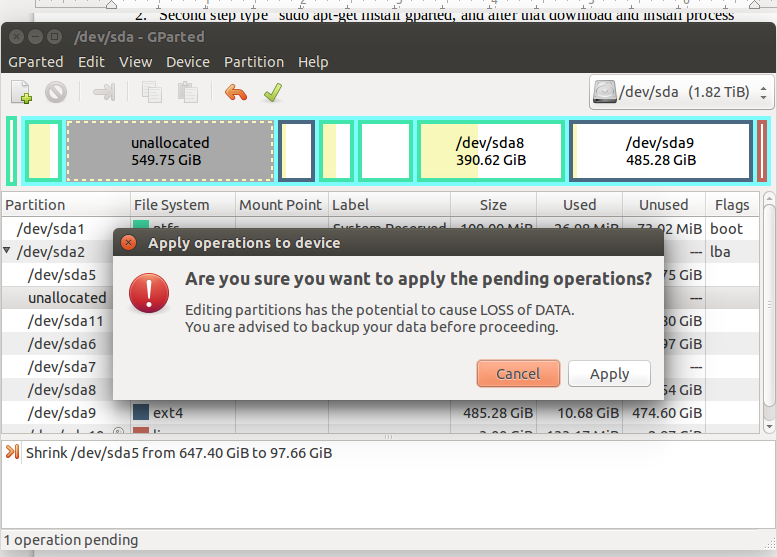 And one of software that always use for user is about partition. When we use that software which commercial goal, we always suggested several tool but not all item can be used or may be we can use all of item of that tool from it with short time periods (Trial). Most people use of partition software choose or tend to use full version (Not trial), is it possible? The answer is yes. Why I can say “Yes”, is because I have use it, but in Linux. 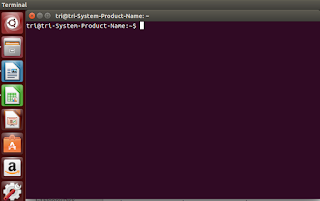 I have used it on Linux UBUNTU, in linux is known as GPARTED. That tool is awesome, almost of tool in GPARTED most likely used in same software that have commercial goal. 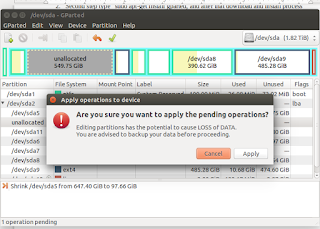 On that Software we can see all partition include windows partition. If you want to install and use it, just follow this step. 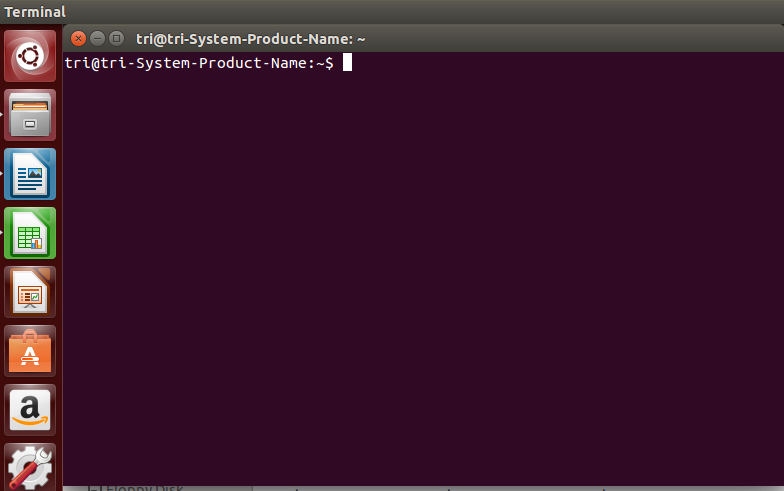 first step is open terminal on LINUX UBUNTU, if you want to execute from keyboard just type ctrl+alt+T. 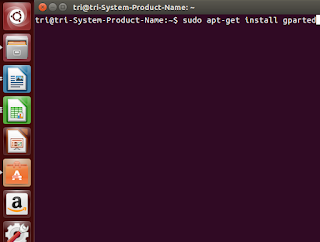 Second step type “sudo apt-get install gparted, and after that download and install process will run until completed. Gparted Icon will show on left menu on ubuntu desktop, if that icon not show just klik “search your computer and online services” Left Top Icon on Ubuntu Desktop. 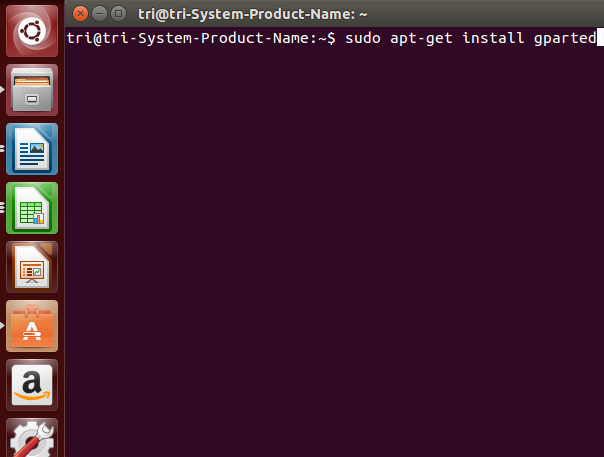 after you installed on ubuntu, next step is used it according to our need. In this web, I want to show u how to create partition on windows partition. Just follow this guide. Second step, left click mouse to choose partition that contain ntfs windows format partition. Fourth step, after resize has been made then click Resize/Move. Choose green check list on top tool bar and will show notification to cancel or apply. 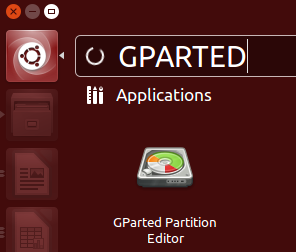 0 Response to "HOW TO INSTALL GPARTED"